BRUSSELS — European Council President Donald Tusk on Tuesday lobbed a verbal grenade at President Trump ahead of a crucial week of diplomacy, warning the US leader not to mix up his friends and his rivals as he meets with NATO leaders, then Russian President Vladimir Putin. 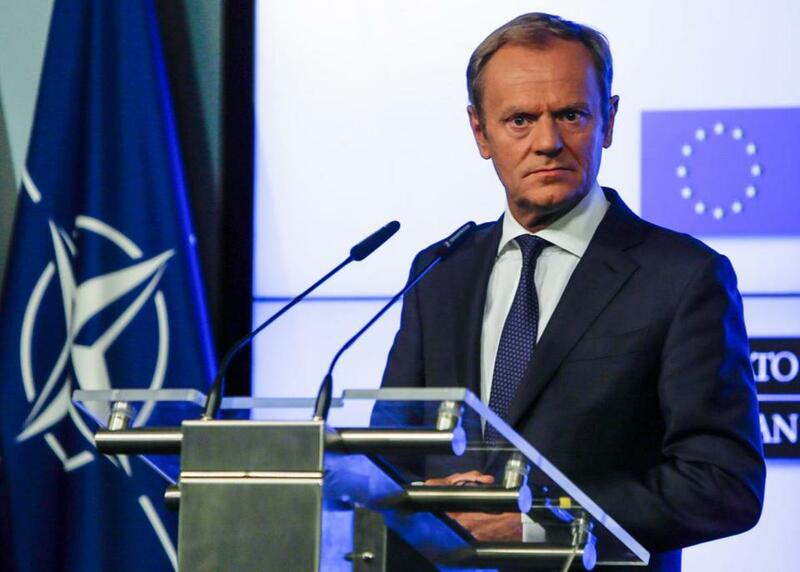 ‘‘I would like to address President Trump directly, who for a long time now has been criticizing Europe almost daily for, in his view, insufficient contributions to the common defense capabilities,’’ Tusk said after signing a cooperation agreement between the European Union and NATO. 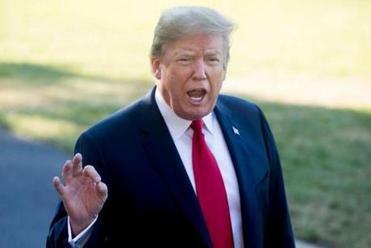 ‘‘I want to dispel the American president’s argument which says that the US alone protects Europe against our enemies, and that the US is almost alone in this struggle,’’ he said. ‘‘It is always worth knowing who is your strategic friend and who is your strategic problem,’’ Tusk said. He suggested Trump had little regard for US allies. Shortly after Tusk’s fiery warning, Trump told reporters that he thought the Putin meeting may indeed be warmer than the NATO summit. ‘‘Frankly, Putin may be the easiest of all,’’ he said as he boarded Marine One on his way to Europe. ‘‘NATO countries must pay MORE, the United States must pay LESS. Very Unfair!’’ Trump wrote in a second Tweet.